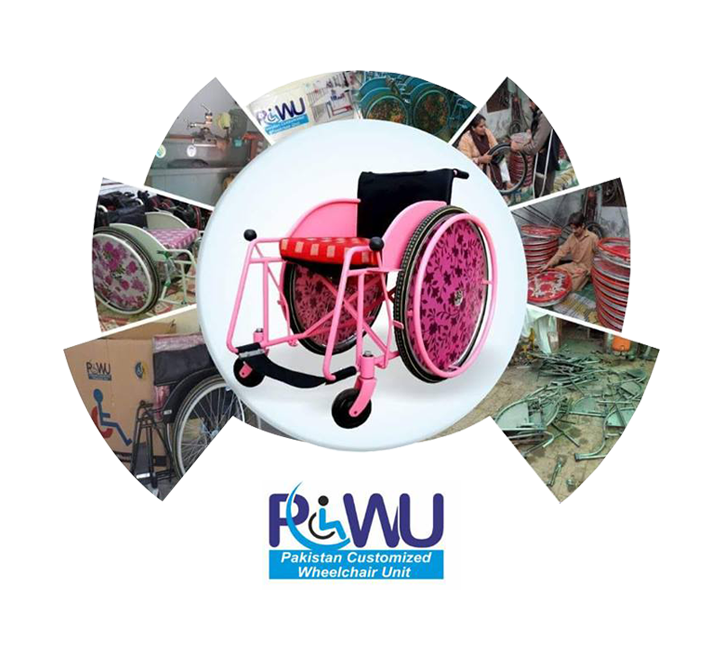 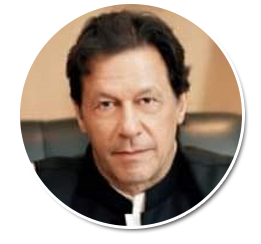 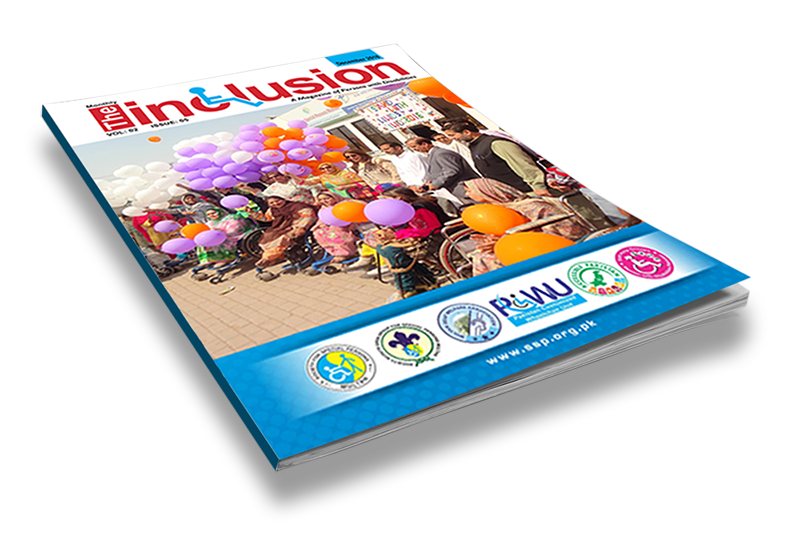 ACCESSIBLE PAKISTAN FOR THE EMPOWERMENT OF PERSONS WITH DISABILITIES. 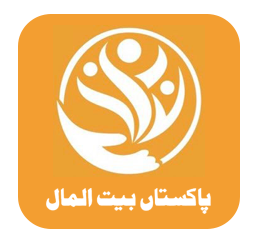 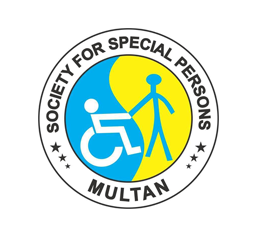 Society for Special Persons (SSP) has been working as a non- profit disabled people organization over the past fifteen years with the aim and objective dedicated to the achievement of full social, economic, educational, skills, and recreational accessible and inclusive activities for the empowerment of persons with disabilities as equals. 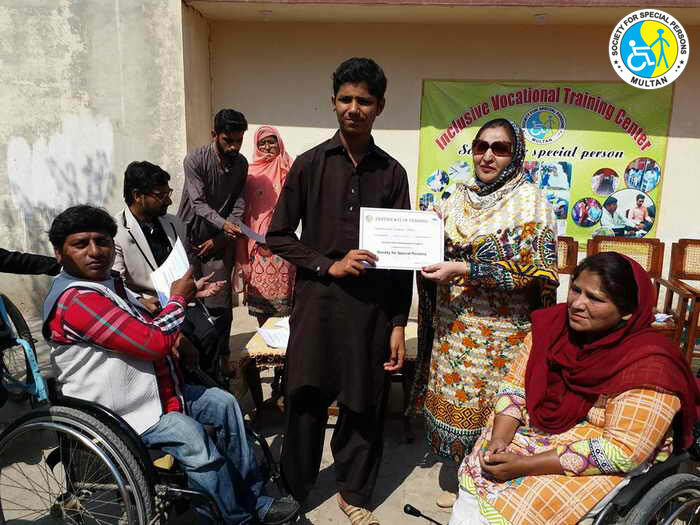 Society for Special persons was formed by a group of Youth with disabilities lead by a woman with disability with the courage to work for people with disabilities as independent and participative members of the general community. 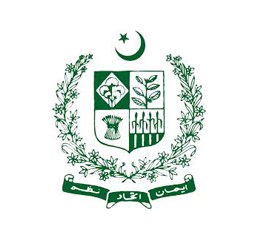 SSP is registered under the Government of Pakistan, with national and international recognition. 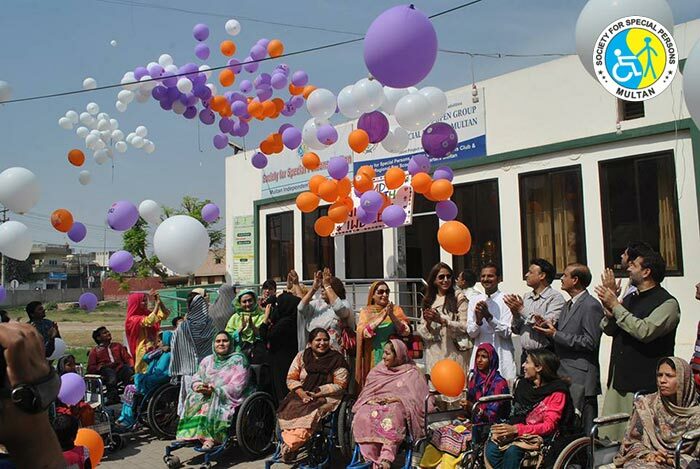 SSP provides a common platform to improve the over all quality of life of the People with Disabilities. 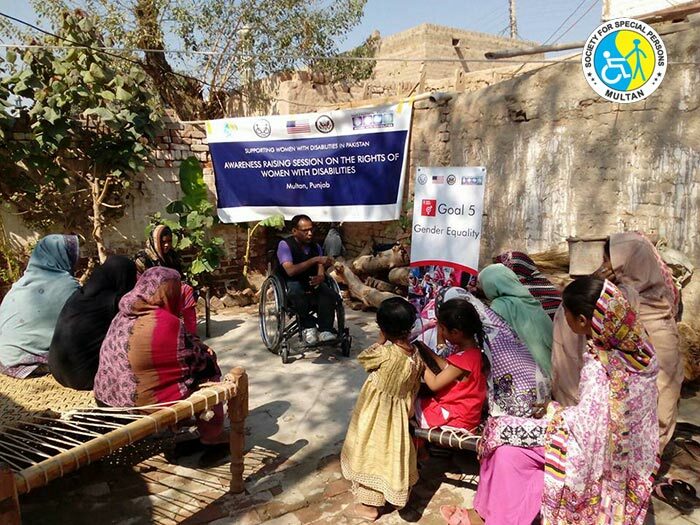 On January 12, 2018, MD Pakistan Bait-ul-Mal, Mr. Aun Abbas Buppi came to SSP headquarters to distribute 100 wheelchairs among PWDs. 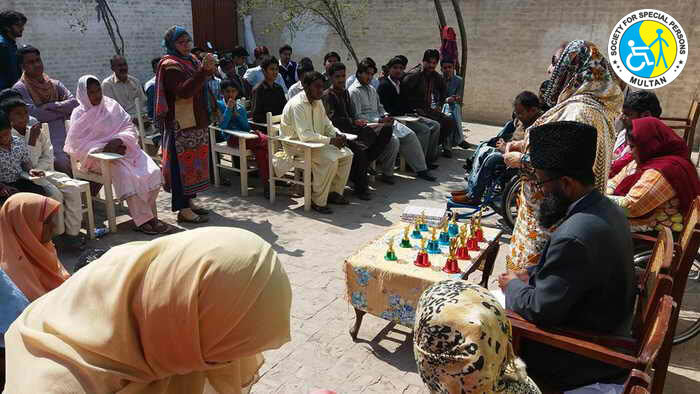 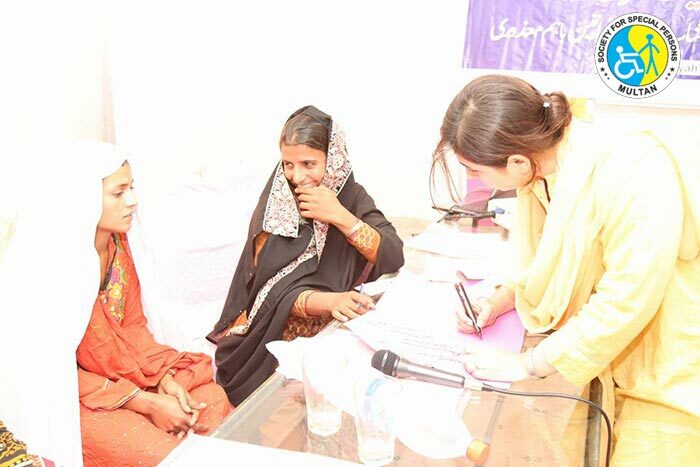 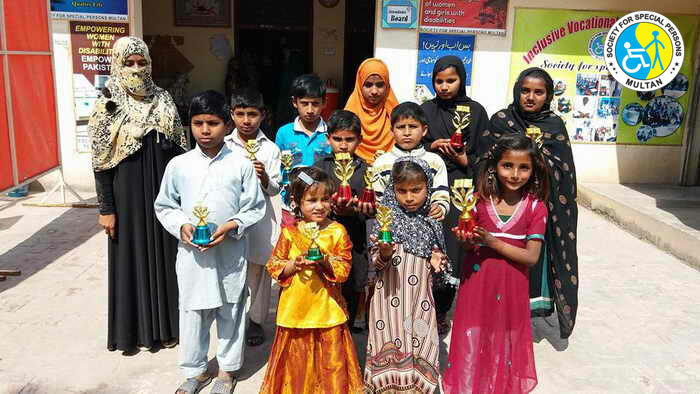 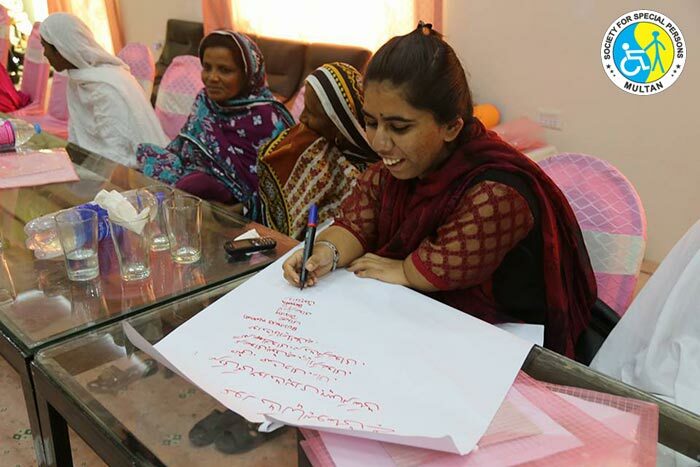 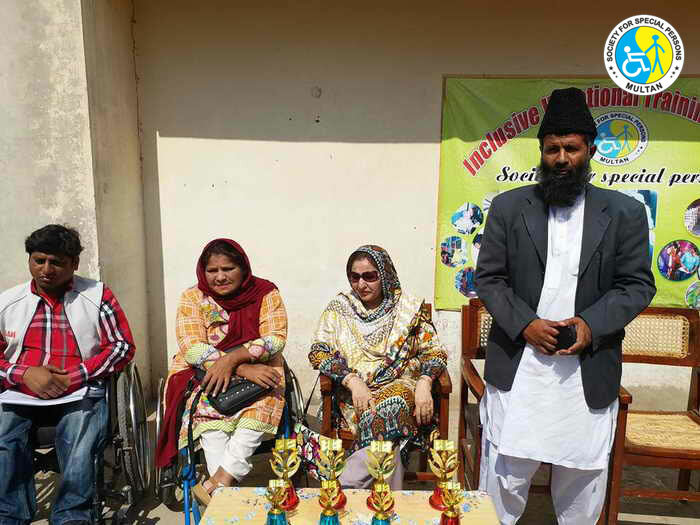 The attendees included PWDs who came from neighboring and underprivileged areas of Multan. 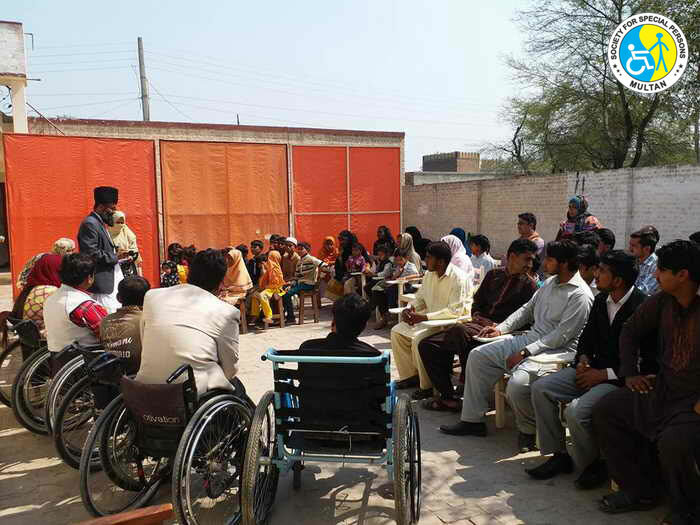 Most of the recipients were receiving wheelchairs for the first time. 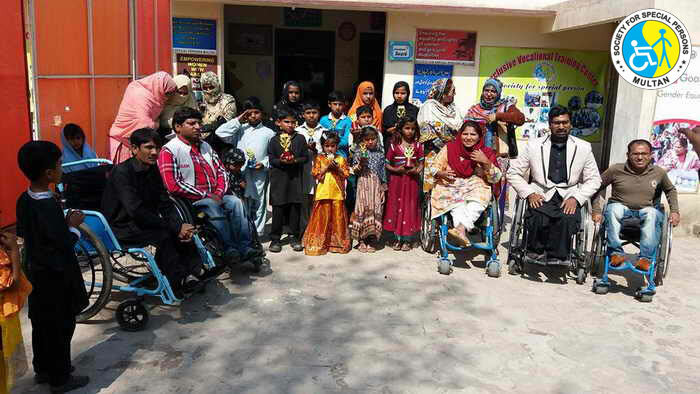 The recipients included special needs children and other PWDs. 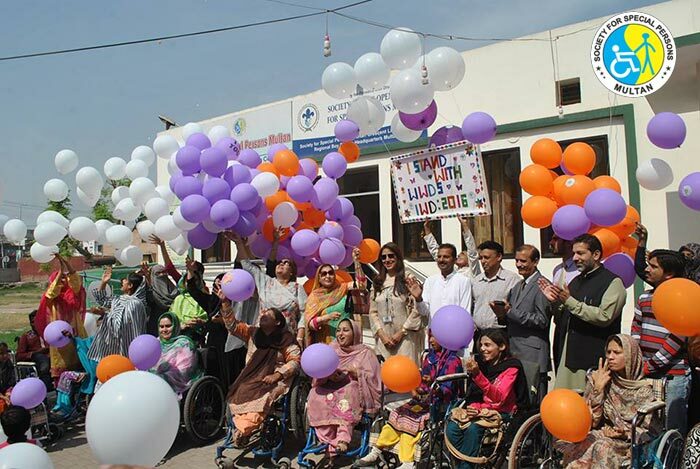 The event was chaired by Aun Abbas Buppi, MD Pakistan Bait-ul-Maal (PBM), Dr. Izhar-ul-Haq Hashmi, Program Director, Punjab Welfare Trust for the Disabled (PWTD), Rana Jawaid from Social Welfare Department, and the Board of Directors of Society for Special Persons, Multan (SSP). 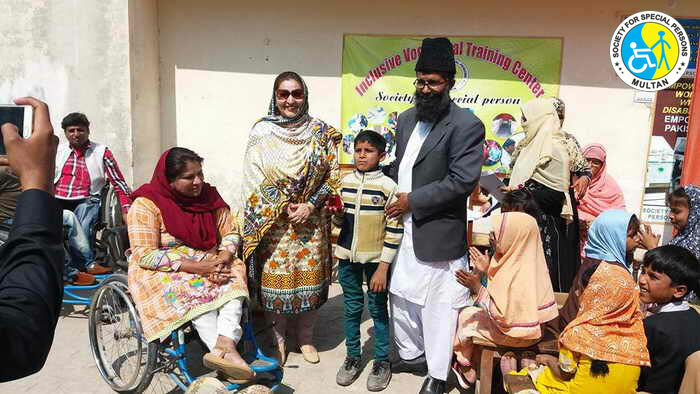 Leadership (President Zahida Hameed, Chairman BOD Syed Ijaz Ahmad Shah, Asad Mumtaz, Advising Director(SSP) Mazhar Jawed (Daily Aftab) attended a meeting with the VC of BZU Multan, Tahir Mehmood Ansari to discuss accessibility on campus. 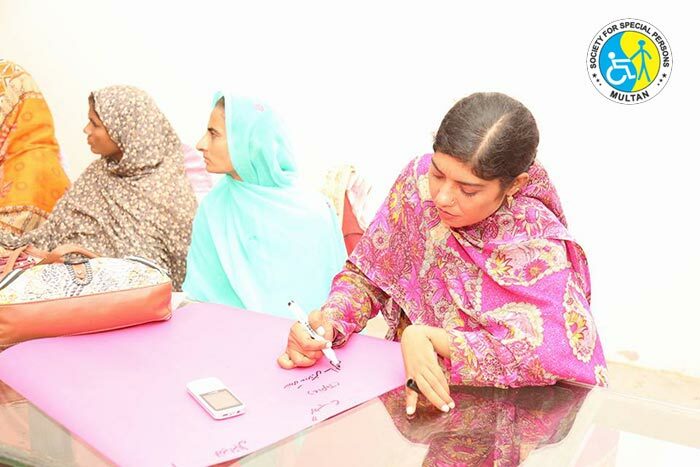 The focus of the meeting was to take steps to make BZU Multan the first accessible university of Pakistan. 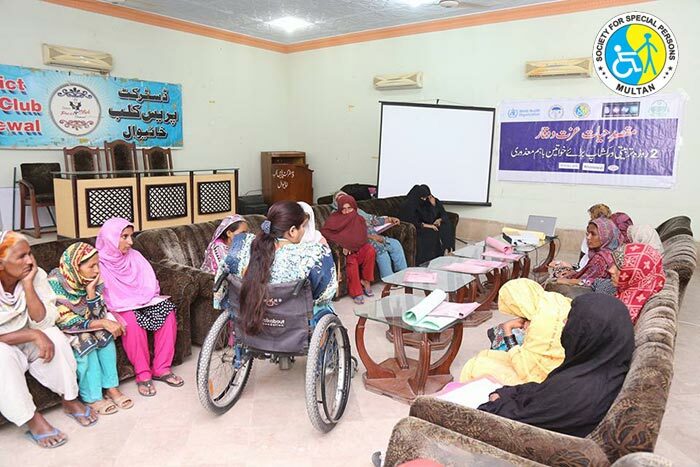 SSP also suggested to make an alumni network of all the PWDs graduates of the university, so that they can effectively participate by giving their insights, suggestions and feedback as to how the campus can become accessible. 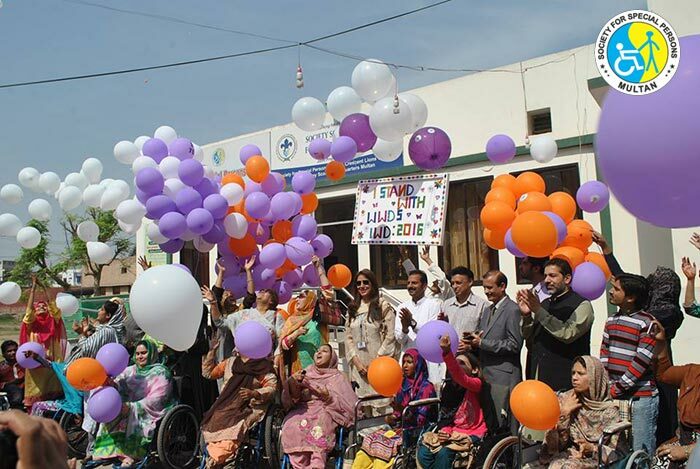 Special Festival was celebrated on World Disabilities Day on December 3, 2018 at SSP office. 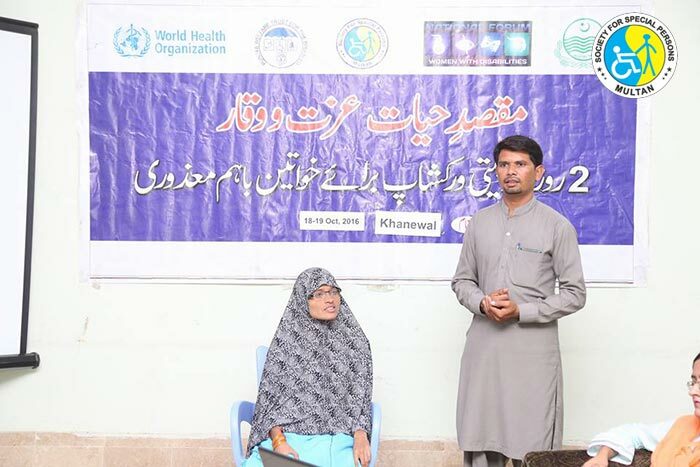 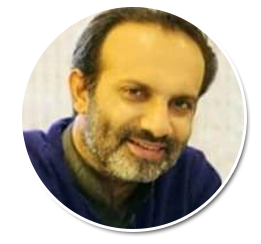 The event was graced by the honorable MD Pakistan Bait-ul-Maal, Mr. Aun Abbas Bappi. 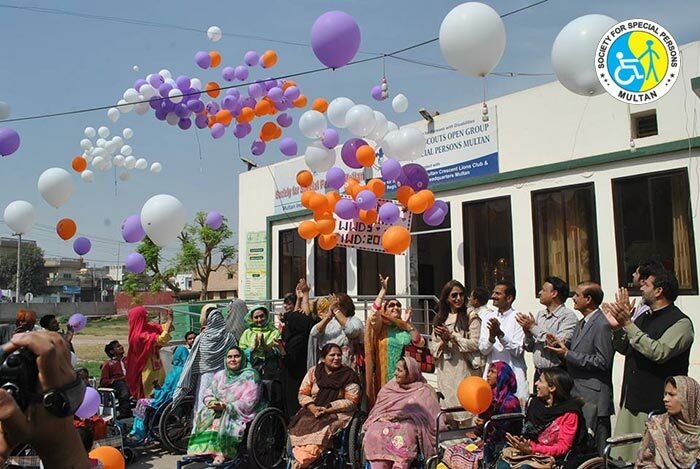 Special Festival was attended by over 300 people, having an exciting series of entertaining segments.